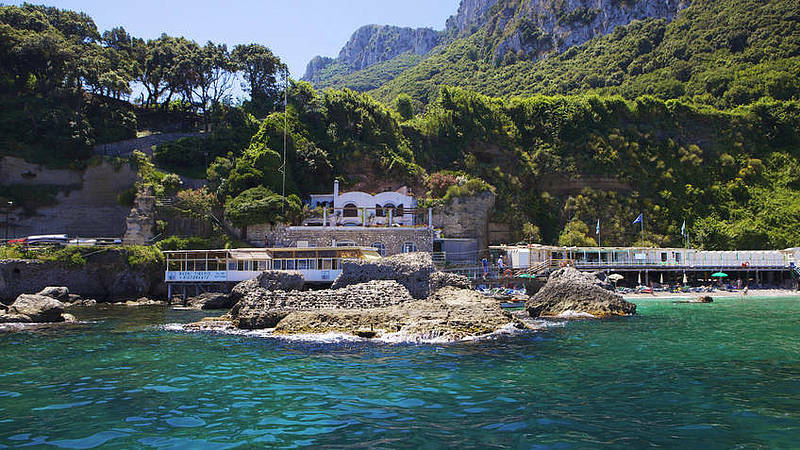 Are you visiting Capri for one day this summer, and want to make the most of your time? 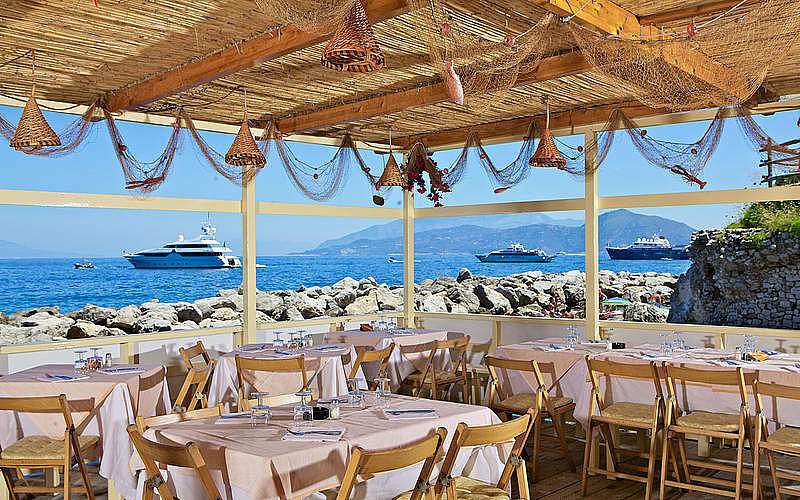 Here is the perfect all-inclusive package including a boat tour of the island, lunch at a restaurant, and time to relax on the beach: the best of Capri without the crowds and stress! 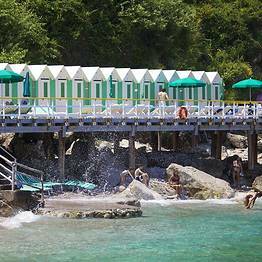 Departure from the private Bagni Tiberio pier In Capri, Marina Grande, just steps from where the ferry from Sorrento docks. 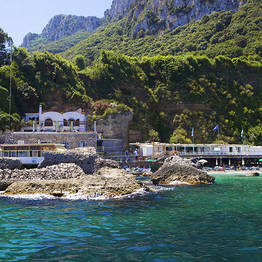 Boat tour of the island on a traditional gozzo boat, with an optional stop at the Blue Grotto. 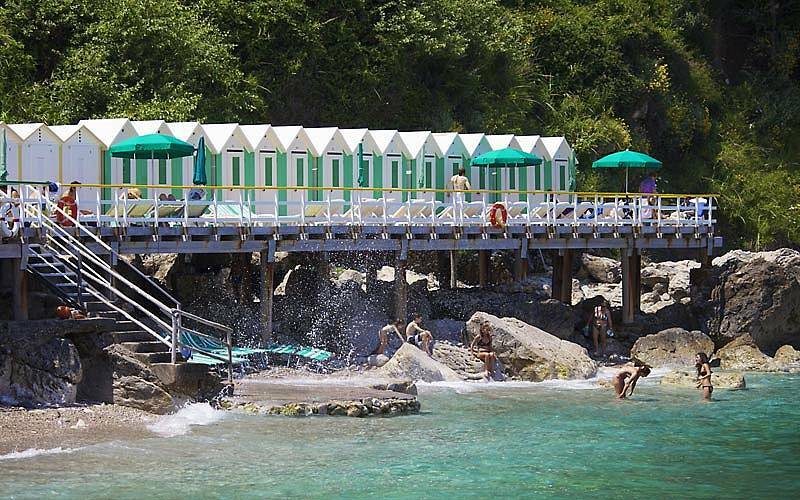 All-day pass to the Bagni Tiberio beach club, with sun umbrella and loungers reserved just for you. Lunch at the seaside restaurant: a main dish and a dessert from the menu of the day (drinks extra). Free time to relax on the beach before the trip back to the beach club. You decide how to schedule your day! 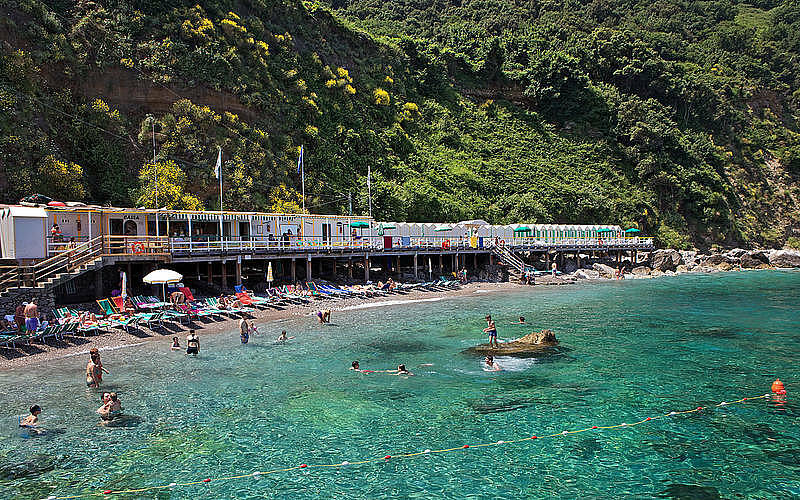 The meeting point is the pier for boats leaving for Bagni Tiberio in Capri, Marina Grande just behind the ticket office for the ferry and the funicular. Arrive at the time you prefer, and then decide to either go to the beach first or begin with your boat tour of the island. 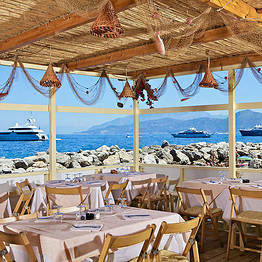 You can have lunch at the seaside restaurant any time between noon and 3 pm. Before or after your all-inclusive package, you can take the funicular up the center of Capri for a stroll through the famous Piazzetta and town. No penalty charge for tours cancelled due to adverse weather. No penalty for cancellations up to 7 days before the date of the service. For cancellations received from 7 to 2 days before the date of the service, there is a penalty charge of 70% of the deposit. No charge for tours cancelled due to adverse weather conditions. 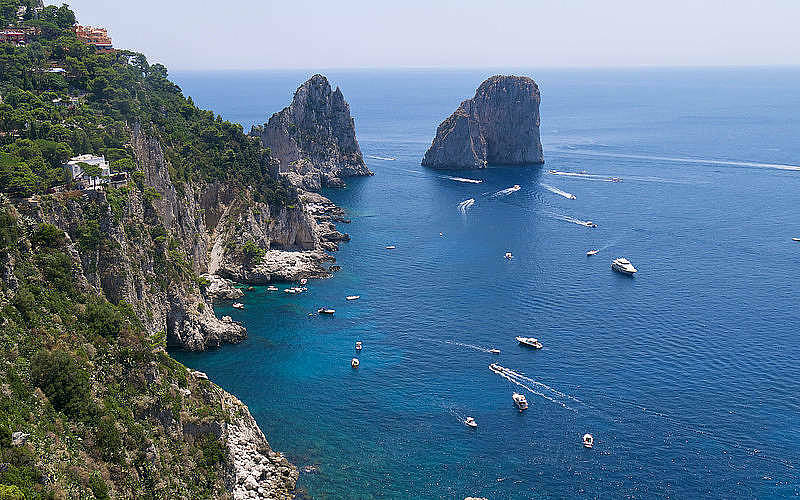 "Amazing service, beautiful boat, experienced skipper and the best way to discover Capri!" 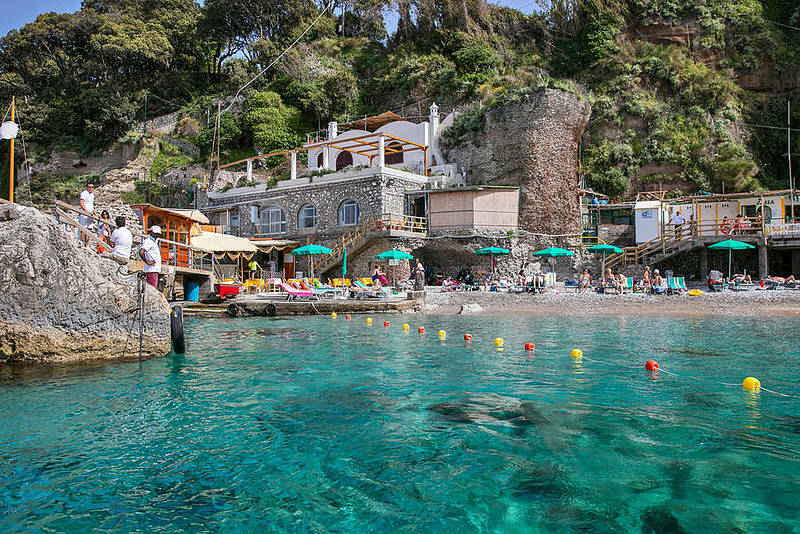 "Highly recommended way to visit Capri. Luxury treatment in a authentic gozzo. " "This was an incredible experience. Truly a first class operation. We were greeted off the boat by an amazing staff and seated in a premium location for lunch and lounge chairs at the beach." "We loved this ride. The driver was very nice and explained the main points of interest! I totally recommend this trip!" 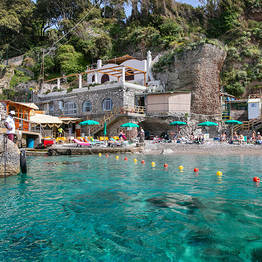 "This was the highlight of our trip to the Amalfi Coast. Vincenzo was fantastic. Knowledgeable and friendly. 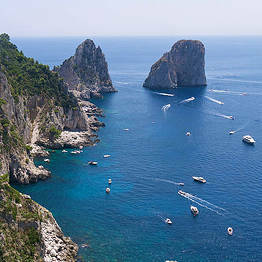 Capri is so beautiful. Seeing it from a private gozzo was amazing. " "Definitely on of the most memorable parts of our three week trip through Europe the boat was well kept and beautiful. The experience was one to define a lifetime. He was welcoming, fun and kind. " "Seamless reservation experience and our 4 hour boat ride was perfect! " "What an experience fantastic boat top quality skipper made some great suggestions and knew what he was doing. The trip around Capri was very interesting the skipper gave us some chat on the history"
"Wonderful 3 hour tour. Our captain took us into almost every grotto and cove, told us the stories connected with each one, pointed out every landmark and natural features. Need more drinks on board." "This truly was the highlight of my trip! I was on the gozzo solo and my skipper Giancarlo was professional, friendly and super informative. This was the best way to see the turquoise water up close!" 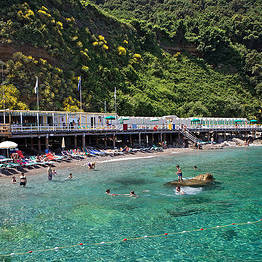 Bagni Tiberio Boats: "Thanks a lot...."